At the Reed Law Firm, we have extensive trial experience, and we are always willing to litigate. However, we also value alternate dispute resolution when the client will benefit from the process. In negotiation, participation is voluntary and there a third party does not facilitate the resolution process or imposes a resolution. Negotiations between the parties can be face to face or via continuing correspondence between the parties during the course of ongoing litigation. In mediation, a third party mediator facilitates the resolution process. A mediator may suggest a resolution, typically known as a “mediator’s proposal”, but does not impose a resolution on the parties. 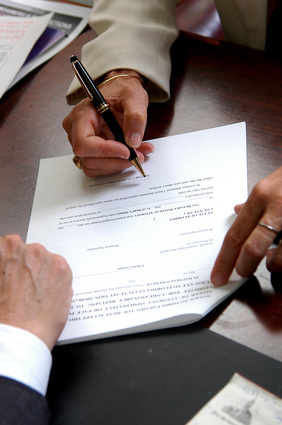 During a mediation, the parties are typically separated after opening discussions of the case. The mediator acts as a neutral go between facilitating resolution of the issues through continued discourse with the parties. During the process, a mediator can also provide a neutral case evaluation. In collaborative law, or collaborative divorce, each party has an attorney who facilitates the resolution process within specifically contracted terms. The parties reach an agreement with the support of the attorneys, who are trained in the process. Experts may be made part of the process to assist in technical matters. This process does not impose a resolution on the parties. Rather its seeks to facilitate agreement between the parties based upon their shared goals. Arbitration is a voluntary process where a third party acts as a private judge. After hearing the facts of the case, the Arbitrator imposes a resolution similar to a judgment issued by a court. Arbitrations can sometimes be mandated by contract. Although parties may appeal arbitration outcomes to courts, these appeals are unlikely to be successful . Case evaluation is a non-binding process in which parties present the facts and issues of their case to a neutral evaluator. The neutral case evaluator advises the parties on the strengths and weaknesses of their respective positions, and assesses how the dispute is likely to be decided by a judge or jury. Early neutral evaluation is a process that takes place soon after a case has been filed in court. The case is referred to an expert who is asked to provide a balanced and neutral evaluation of the dispute. The evaluation of the expert can assist the parties in assessing their case, and may influence them towards a settlement. Alternative dispute resolution can offer several benefits. Utilization of alternative dispute resolution early in the litigation process can facilitate cost effective settlements that allow for creative and practical solutions to the parties needs. By not engaging in all out litigation, the parties can lower their respective legal expenses while preserving their interests. In addition, alternative dispute resolution can be less formal than a courtroom setting, reducing emotional stress to the parties and providing more flexibility in resolving outstanding issues. If you are interested in discussing the various forms of alternative dispute resolution discussed above, please contact us for an initial consultation.